The National Highway Traffic Safety Administration may kill a regulation that ensures often-silent electric and hybrid cars make noise when driving at low speeds, a rule heavily supported by advocates for the disabled—and anyone who’s found themselves almost run over by a Prius. NHTSA’s proposal responds to an executive order President Donald Trump signed in January, requiring agencies identify areas they can reduce regulation to cut costs associated with enforcement. As a result, NHTSA identified six areas of deregulation, including a minimum sound requirement for vehicles. Electric and hybrid light-duty vehicle manufacturers currently have until September 1, 2019 to equip new cars with noise when driving below 19 miles. NHTSA predicts the move could prevent 2,400 pedestrian injuries each year. This mandate is a part of a pedestrian safety act passed by Congress in 2010 and later signed into law by Barack Obama. The executive branch began working on the mandate in 2013, but went through several years of delay for “additional coordination.” Trump had delayed the ruling even further after issuing a 60-day freeze on pending regulations back in January. 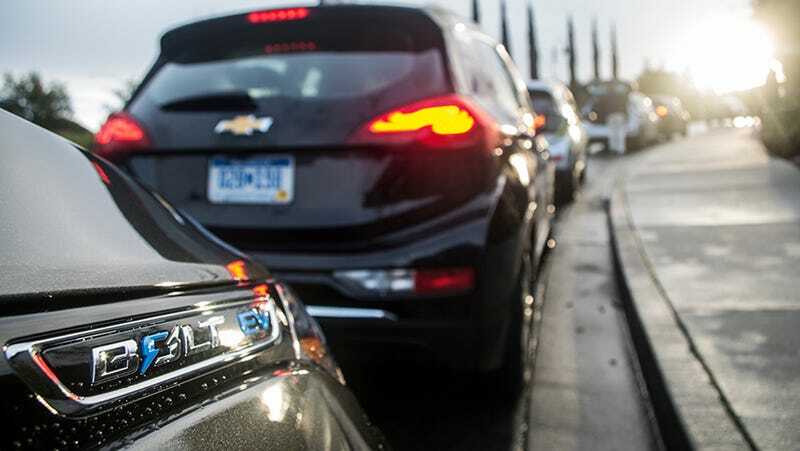 Extensive research from NHTSA found hybrid and electric vehicles going at speeds under 35 mph are 37 percent more likely to hit walkers and 66 percent more likely to hit cyclists due to not making enough noise. The European Union made a similar mandate in 2014 for this very reason, requiring all electric and hybrid cars add artificial engine noises while in motion. Despite the rule’s ability to save lives, automakers like General Motors, Toyota and Ford protested the mandate, claiming there is not enough data to support NHTSA’s conclusion (by the way, NHTSA found adding a sound device only costs $130 per hybrid car and $55 per electric car). Importantly, advocacy groups like the American Council for the Blind and the National Federation of the Blind are in full support of the minimum sound requirement. Anthony Stephens, director of advocacy and governmental affairs at ACB, said in a statement to Jalopnik that further delay of the ruling results in further injury and death of all pedestrians, including the blind and visually impaired. Stephens further stated he was “not completely surprised” to see the requirement under review from the new Secretary of Transportation, yet said the President does not have the authority to repeal a regulation passed by Congress and encourages the administration to move forward on establishing the final rule. Though given how Trump treats people with disabilities (and every other kind of minority) like complete garbage, I’m sure he’ll find a way to make their lives harder at some point. What Are The Weirdly Quiet Noises That Come From A Formula E Car?